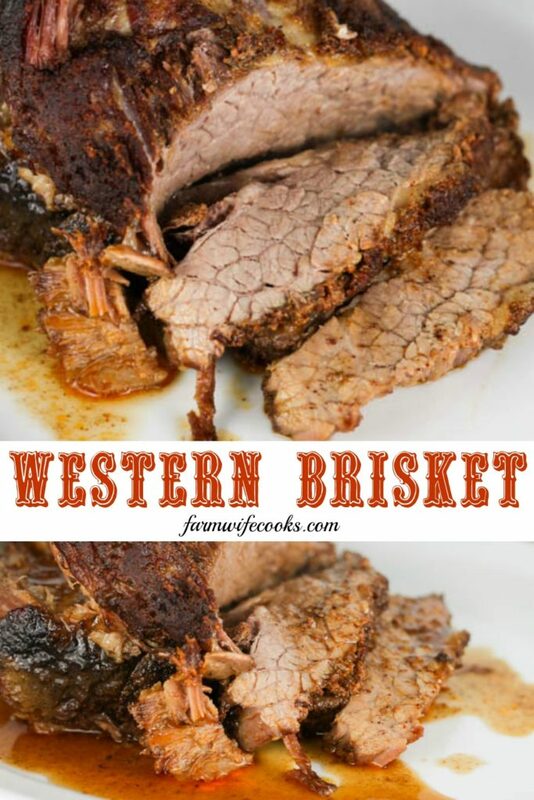 Western Style Brisket is an easy baked beef brisket recipe that has a kick and is so tender and juicy! 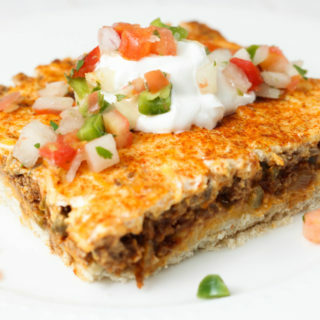 This recipe comes from a neighbor who farms down the road from us, she and her family raise beef cows. 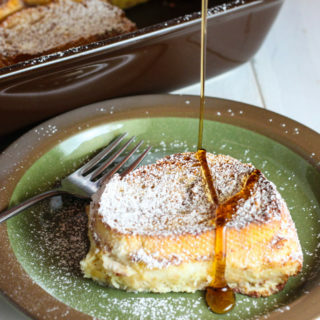 She shared this recipe during an activity at our state fair and I kept the recipe card because I knew it would be good and it is! I love brisket! Especially when it is served with mac n cheese and baked beans, one of my favorite meals! 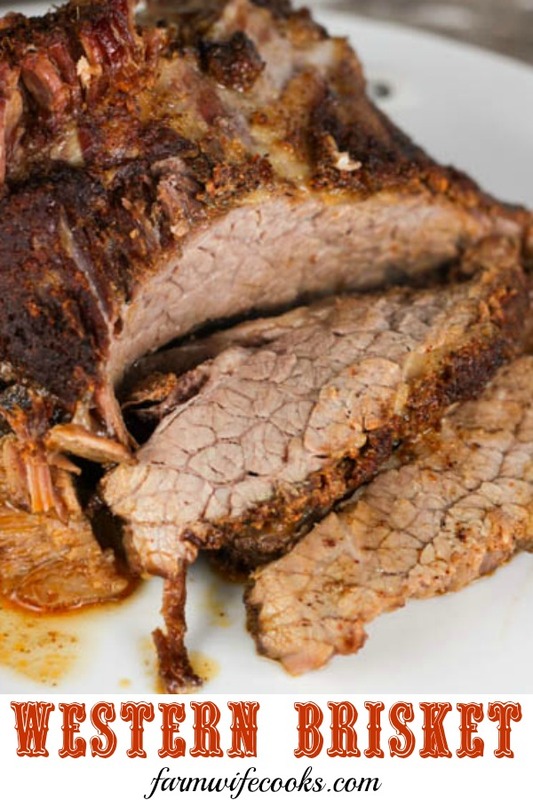 I also have a Slow Cooker Beef Brisket recipe you might like to try, click here for the recipe. Both recipes are completely different and you can’t have enough good brisket recipes in my opinion! This recipe has a great rub that gives it the unique western flavor, the rub is simple to mix together and adds a lot of flavor. 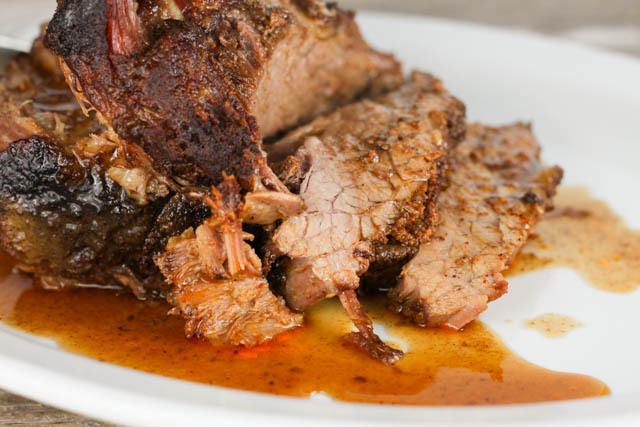 I love that this brisket recipe has a lot of juice leftover, almost making it’s own gravy. Perfect to pour over the meat and would be awesome with mashed potatoes. The secret to cooking a great brisket is to cook it slow. 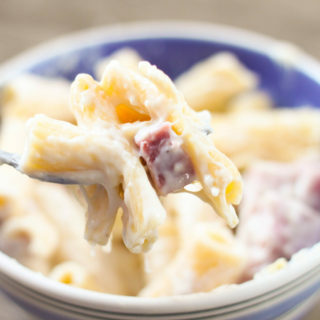 This recipe cooks for 4 hours but it totally worth the extra time! In a small bowl mix all the spices together and liberally rub on the brisket. 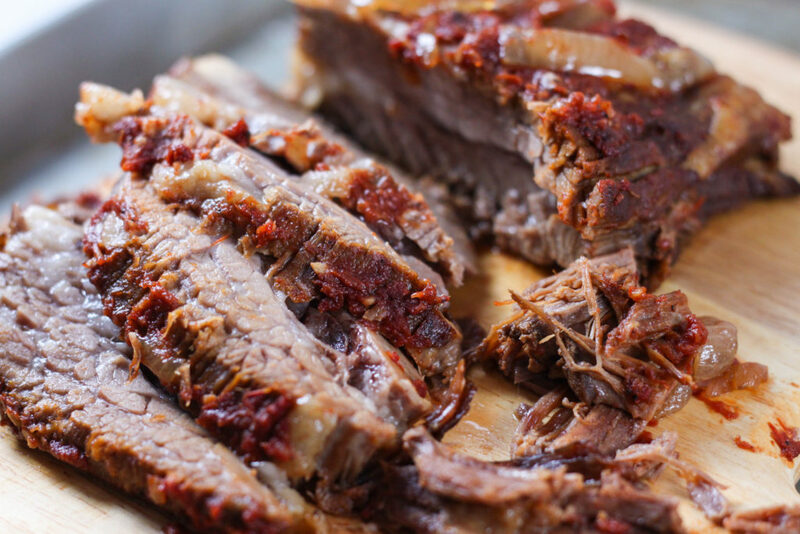 Place the brisket in a roasting pan and roast for 1 hour uncovered. Add beef stock and enough water to yield about a half inch of water in the pan. reduce the heat to 300 degrees, cover with foil and cook for 3 more hours or until fork tender. Trim off any fat and slice brisket across the grain. Serve with juices from the pan.